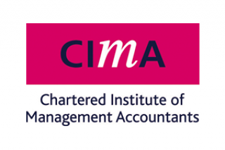 Professional: Transform Accounting are Chartered Management Accountants and hold a current CIMA Practising certificate. We are also members of the Association of Taxation Technicians. This means we adhere to the highest standards of professionalism and ethics in our work. Personalised Service: We are a small, independent Chartered Management Accounting practice where our clients are our priority. This allows us to offer a much more personalised service to our clients than many other firms. Proactive: As your accountant, our role is to help you navigate the financial and tax legislation, not just to ensure you comply, but to make sure your affairs are structured in the most effective way. We will do this by proactively making suggestions to maximise your wealth outcomes. Accessible: Need to reach us in a hurry? Call us to discuss issues as they happen, or if the matter is less urgent simply e-mail us for a 24 hour response. You can even mail or e-mail your tax return if you'd prefer not to meet in person. We are also available for video conferencing via Skype or FaceTime. Our philosophy: Utilise modern technology, keep our costs low and always be up to date with the latest finance and taxation regulations to enable us to deliver exceptional service to our clients. We believe in providing a personalised service that goes way beyond an annual set of accounts and tax return. Easy to Understand: We appreciate that not everyone is an accountant. We only speak plain English and will take time to fully explain important matters. It is our job to explain complex tax and financial concepts in plain English to help you make informed decisions. 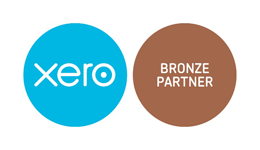 We take pride in being accountants for small business, and enjoy working with new business start ups. Equally, if you are an individual requiring assistance with your tax return, we are here to help. Jacinta Smith Bsc(Hons) ACMA MiP ATT has an honours degree in Chemistry from University College Cork, has been an Associate Chartered Management Accountant for 15 years and is a member of the Association of Taxation Technicians. Jacinta has over 20 years experience ranging from a blue chip corporate finance environment through to working with small businesses and sole traders and charities. 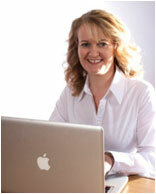 Jacinta is very commercially aware and is not just a "number cruncher". She believes in establishing a personalised working relationship with clients to gain a thorough understanding of their business with a view to providing customised tax and commercial advice. Clerkenwell Rug Studio has worked with Transform Accounting since trading began in April 2014. 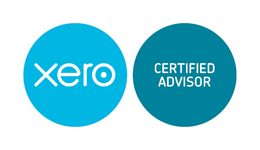 Transform Accounting are at all times professional, organised and unflappable in everything I have asked them to do. Jacinta and team explains the financial issues in language I can understand. I cannot recommend Transform Accounting enough. I could not recommend Transform Accounting enough. They have been superb and as we have grown as a company, they have grown with us and now are an integral part of our business. From payroll, year ends and VAT returns right through to corporate planning and advice, they have always given us a great service. Jacinta's work with her local Scout Group has brought a level of professionalism and expertise that has greatly benefited the charity. Her hard work and attention to detail helped the Group produce one of the smartest and easy to understand annual reports I've seen in a Scout Group for many years. Jacinta has been my accountant since I started my own business and I have been delighted with the service I have received. She was fantastic at giving me all the advice and support I needed when everything was still very new to me, and I wouldn't hesitate to recommend her to anyone else in the same situation. Thank you very much for all your help on this year's audit. You and your team make the assignment very straightforward from Baker Tilly's point of view. It is a credit to you and your team that the process flows so smoothly. 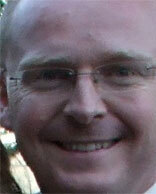 Transform Accountant are a friendly reliable and very professional company who I would recommend without hesitation.